Leading an active lifestyle is important for keeping both your body and mind in tip top condition. Whether that means you enjoy a stroll on the beach, a brisk walk around town or a hike through the countryside, you’ll want to make sure that you’ve got the right shoes for the right job. Our expert buying team know that nothing can ruin your day like a pair of shoes which pinch and rub which is why they hand-picked Cushion Walk shoes for you. It’s all in the name; Cushion Walk know a thing or two about combining style and comfort. 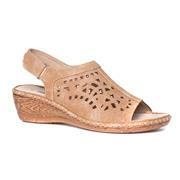 Their super-cushioned and ultra-flexible soles allow your foot to move naturally. The lightweight uppers also mean that it feels like you’re not wearing shoes at all. 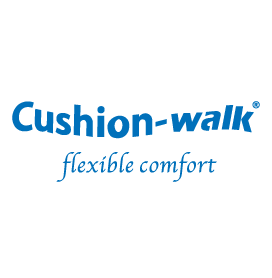 Shoe Zone are delighted to bring you a range of lifestyle shoes by Cushion Walk. Available in styles from casual trainers to smart slip-on pumps and stylish sandals to cosy boots, so you can be comfortable no matter what the occasion. 87 products from £9.99 to £29.99.